It's that time of week again for #wineandboobs! The theme of #wineandboobs will be the same each week... Link your favourite post up! It can be an old or new post. Last week was #wineandboobs best week yet! :) Thank you all so much who come and link up with me! You make my week and the posts are all so great to read! We are looking for posts from all bloggers! Parent bloggers, beauty bloggers, fashion bloggers, vloggers and bloggers. I would love the diversity that it would bring to #wineandboobs. For you vloggers you can link your videos directly from YouTube and I would really love to see you linked up! Watch for new vlogs coming from yours truly in the near future. Please feel free to link as many posts as you wish. If you want to share your post via twitter, make sure to tweet us (@twentyfirstmama and @moderndadpages) using #wineandboobs and we will be sure to retweet for you. If you so wish you can like me to Facebook. I love tortilla wraps..... more than I can possibly say. Not eating bread doesn't bother me that much, and as I can't get my hands on Expandex modified tapioca starch in Dubai, I've had to pretty much give it up. But every time I go into Spinneys and I see their soft wraps, it makes me want to melt into a puddle. 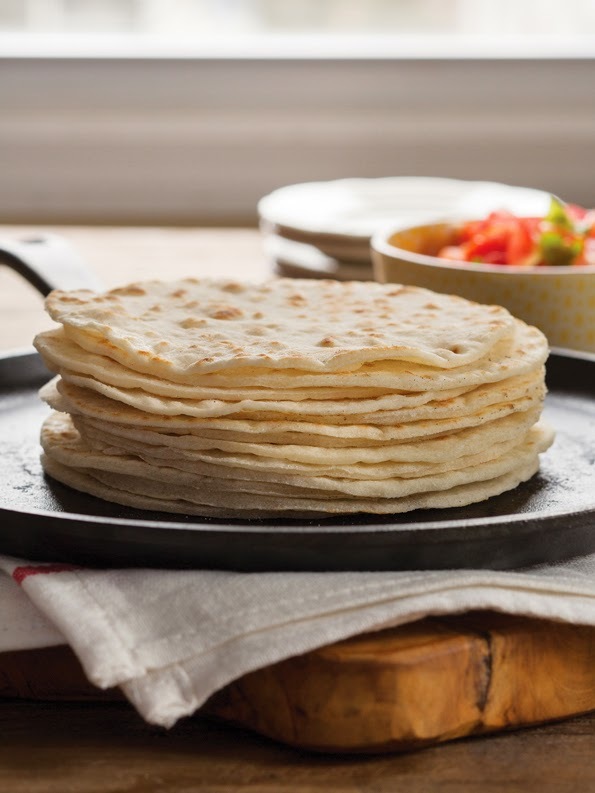 There is nothing better than a soft floury tortilla stuffed full of chicken and bell peppers. I can even do without the sour cream and cheese, they are that good! So I've been looking for a gluten free tortilla wrap recipe for some time, and I've just found this one. I haven't actually tried it yet, because I'm still without the Expandex modified tapioca starch, but as everything I've tried from Gluten Free on a Shoestring has been fabulous, I'm willing to bet these will be every bit as good. Obviously I'll update you as soon as I get back to the UK and try them, I've already got my Expandex modified tapioca starch sitting at my mum's house! I'm so very excited about these little gems. If you try them first, please please let me know how they taste.... I promise not to be too green with envy! If you are gluten free and you haven't already bought Gluten Free on a Shoestring Bakes Bread either in paperback or in your kindle, you are missing out. I am salivating over the bagels and crusty french bread, and I cannot wait to get started! Here is the tortilla recipe, now get baking! In a large bowl, place the all-purpose flour, Expandex, baking powder, and salt, and whisk to combine. Add the vegetable shortening and toss it in the dry ingredients. With the tines of a large fork, break up the shortening into small pieces about the size of small peas. Create a well in the center of the mixture, and add the water. Mix to combine. The dough will come together and be thick. Press together into a ball, cover with a moist tea towel, and allow to sit for about 20 minutes. The dough will stiffen a bit as it absorbs more of the water. Heat a 10- or 12-inch cast-iron skillet over medium-high heat. Divide the dough into five pieces. Begin with one piece of dough, and cover the rest with a moist tea towel to prevent them from drying out. On a lightly floured surface, with a rolling pin, roll out the first piece of dough until it is 1/8 inch thick. Cut out as many rounds as you can (should be three or four) with a 6- or 8-inch metal cake cutter (I actually used a saucepan lid because I did have a cake cooker big enough!). Stack the raw tortillas on top of one another, dusting lightly with flour between them, if necessary, to prevent them from sticking. Gather the scraps and set them aside. Repeat with the remaining pieces of dough, including gathering and rerolling all of the scraps together. I'm THE most crabby person when I don't get enough sleep. I can happily sleep in until midday on the weekends if I get the opportunity. Gary can always tell when I'm tired and sends me off for a hot bath and bed, knowing I'll be miserable until I gotten some shut eye. 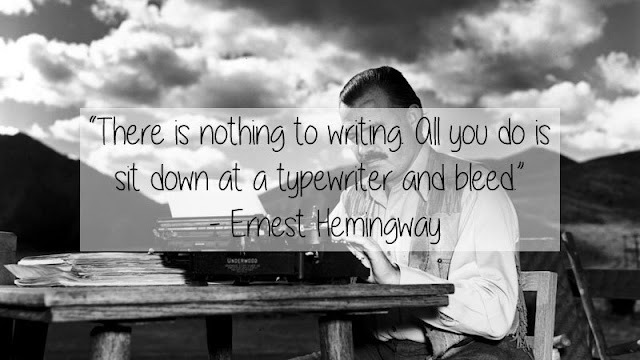 Unfortunately I also generally try to do too much, and when you've got to move continents, look after two babies and work in my free time, I often end up burning the midnight oil.... and then being unable to get to sleep at all because my head is so full of stuff. Cedarwood is great for sleep because not only can it help to unwind the mind, but it also helps to maintain healthy breathing and respiratory function. This is my go to essential oil when I'm feeling a little snuffly but want to unwind my mind at the same time. 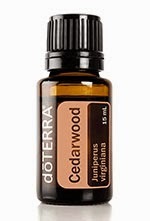 Cedarwood is also great for promoting clear and healthy skin, so I have a good few drops of Cedarwood in my Oil Cleanser for cleansing my face before I hop into bed. Vetiver is one of those oils I really underrated at first. 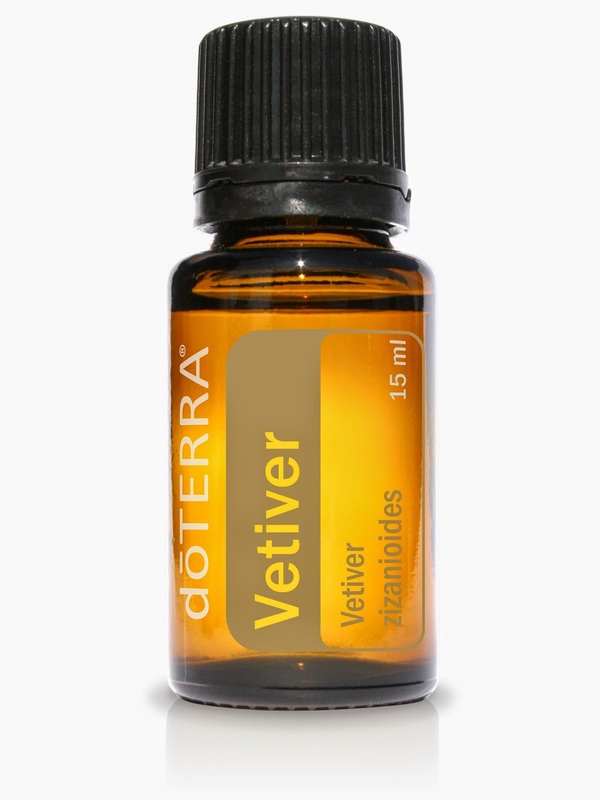 Vetiver has a calming and grounding effect on the emotions and it's helps promote focus and mental clarity. I use Vetiver when I have a to do list as long as my arm and I've got a busy day the next day. 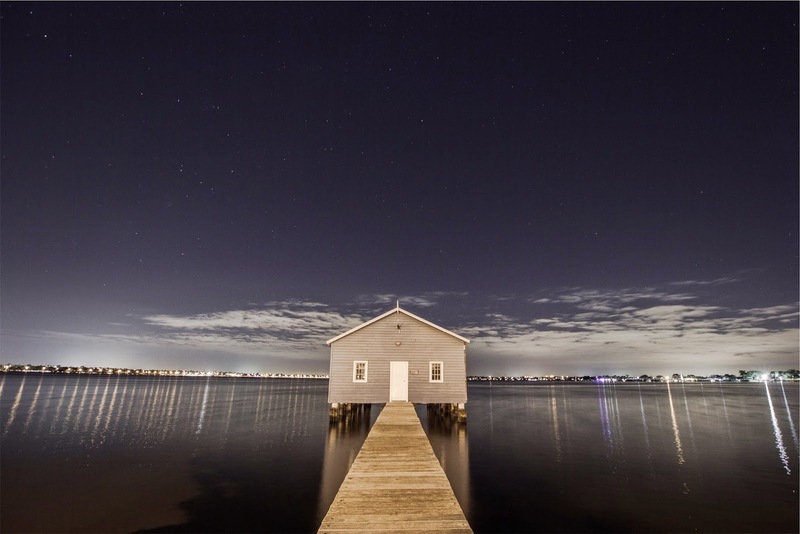 I find it's really effective in shutting my brain off, and stops me lying awake all night worrying about the things I have to do the next day, or didn't get done that day. Vetiver also promotes circulation, so it's great when added to lotion and massaged into the skin. 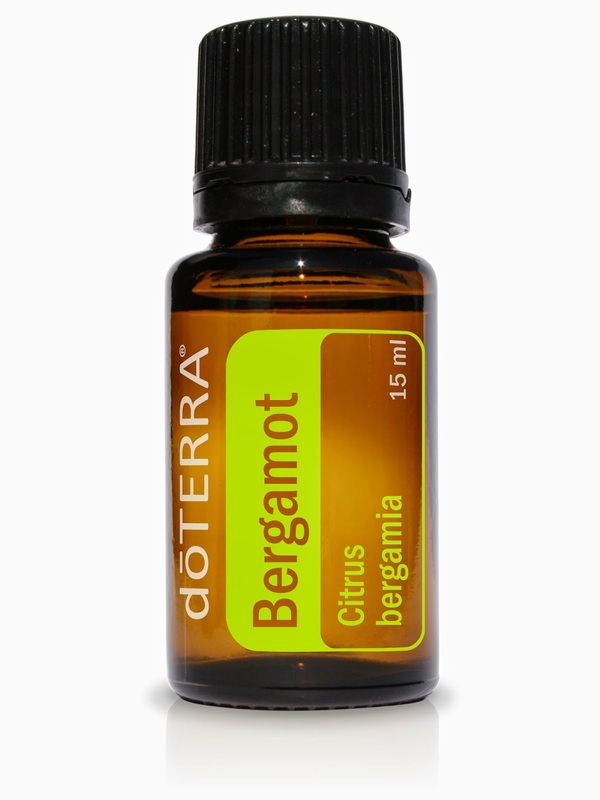 Bergamot is my favourite of all the citrus oils, because it's so delicate. You can still tell it's a citrus oil, and it has that lovely clean scent that I really like in essential oils. Bergamot has the ability to be both uplifting and calming, so it's fantastic when I'm anxious or fretting over something. Also, if you run out of Earl Grey and only have regular teabags, have no fear, two drops of Bergamot in your tea and you'll have Earl Grey in an instant! Lavender is one of my most used oils. I use it for cuts and scrapes, for seasonal discomfort and for sleep, to name just a few. Lavender can soothe and calm the mind and body, and when applied to the back of the neck and the temples, it can help ease muscle tension. I carry all of my tension in my shoulders, so if I've had a tough exercise session, or I've been doing a lot of lifting and carrying, I massage a few drops into my shoulders before bed. I also use Lavender as a mattress and linen spray. I combine Lavender with Bergamot and add it to a spray bottle of water. Then I spray the mattress and the sheets to refresh them and keep them smelling amazing. Disclaimer, I'm not a huge fan of the smell of this blend, but it's such a good blend, I have to use it anyway! I think it's the vanilla bean in it that makes it smell wrong to me. I'm a huge fan of citrus oils, and I think the vanilla is just too warming. Serenity is an amazing blend of Lavender, Marjoram, Roman Chamomile, Ylang Ylang, Hawaiian Sandalwood and Vanilla Bean. This blend calms the mind, relaxes the body and soothes the soul. It works particularly well on young children, and I often add a drop or two to S and L's bath at night. It winds them down and makes falling asleep seem much easier. I don't diffuse this one, because I'm not keen on the smell (although I know lots of people who love it! ), but I apply a drop to my big toe when I need to get to sleep, and get there fast! These are my five current favourites, are there any more you think I should try? I have spent a large portion of the last three years either pregnant or trying to shift the pregnancy weight. As a result my wardrobe is a major mismatch in both style and size. I've never been very good at buying clothes that match things I already have in my wardrobe, but before I had kids, I had no problem just going out and buying new outfits whenever I felt like it. But once I had children (and realised how expensive children are to keep!) my wardrobe spending has been dramatically cut back. For two reasons, first of all I'd often rather buy clothes for them, than for me; second most of my clothes end up covered in food, snot and milk (attractive) so my willingness to spend a large amount of money on one item is significantly reduced. I've bought a lot of clothes out of necessity, but I really should't still be wearing the black flowing trousers that I bought (and wore) when I was nine months pregnant. Or the three pairs of linen trousers I bought and wore when I was a month out from giving birth. I've disposed of all of my maternity clothes, and yet I am still hanging onto these ill fitting clothes, and many others that are no longer practical. A clear out is definitely long over due, and it's time to really pull together my wardrobe so that I have a small but workable wardrobe. I often open my wardrobe to find trouser but no top to match or vice versa. So I think it is time for a capsule wardrobe. 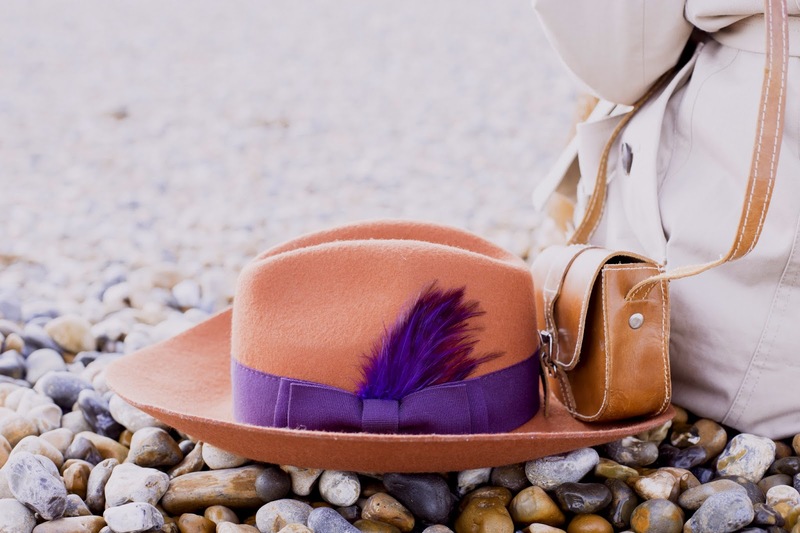 A capsule wardrobe, in short, is a small collection of clothes that you can mix and match, creating many more outfit combinations, then jazzing them up with accessories. I definitely need clothes that I can mix and match a bit more, so that I don't have to scramble around for a particular top, because of the trousers that are already ironed and hanging in my wardrobe. I also have to be realistic about the clothes I am actually going to keep wearing. And so the clear out began. Starting with my going out wardrobe. My going out has been significantly curbed by having children! I'm sure I'm not the only one who has less inclination to party all night if you have to get up at 5:30am with two toddlers (not including the possibility that you'll also be up in the night with one or the other). I have counted and I have no less than TWENTY dresses. Twenty. Wow. It appears I have been hoarding my going out clothes without even realising it. I still love most of them, but realistically I'm not going to wear most of them ever again, and there is always the temptation to buy something new as the seasons and fashions change. I have also changed. I am starting to feel less comfortable in extremely short skirts or very low necklines. They just don't feel like me anymore, and the rule now is that if I don't LOVE it, then I don't keep it. I'm cutting my going out dresses down to six, which I think is more than enough given we are lucky to get out twice a month, and it leaves room if I want to add another one to my collection in due course. As most of them are barely worn Karen Millen dresses I've decided to sell them, to add to my capsule wardrobe fund, which means I win all round and someone else gets to LOVE those dresses as much as I did. So although I "got rid" of a lot of clothes in one go here, this was still the easiest part of my wardrobe clear out. It was easy to really look at clothes that I'm not going to wear that often and decide to part with them. The hardest part was going through my everyday wardrobe and really deciding whether what was in my wardrobe was worth keeping, and would fit with my capsule wardrobe. For my main wardrobe I was looking to put together, and keep, ten full outfits. I figured that would leave space for washing and ironing time and mean that I had a proper wardrobe which would suit many occasions. Because I'm not looking to go out and splurge a load of money in one go at the moment, it was also working out what could be repurposed and used when we return to the UK. So I can use shorts and wear tights with them, rather than need new trousers or jeans immediately. I got rid of anything that really didn't fit right, or was just plain falling apart. What is left are the clothes that I fit into, that I like (even if I don't love) and are enough to get me through for now. I was pretty ruthless in the end and really went to town on throwing things out. As we are moving, there was no point taking clothes with me that I wasn't going to wear, even though it hurt to reduce my wardrobe so drastically. So here is what my day to day wardrobe now consists of. I'm a bit bereft of tops at the moment, so where I don't have a "nice" top to wear, I've just substituted with plain t-shirts for now, so i can see the gaps in my wardrobe. These are the "bottoms" that are staying in my wardrobe. In all honesty, this will likely change a lot over the coming weeks and months, because a lot of what is there is really summer clothing. The pale yellow and blue jeans are really lightweight, and they get filthy when I'm out and about with two toddlers, so they will probably be relegated to a summer holiday wardrobe once I have some more clothes to replace them. The shorts will also be moved to either casual evening wear or summer holiday wardrobe once I've had time to replenish my stock of jeans. Having not had much reason to wear jeans over the past few years, my supple is almost nothing! Those grey jeans are rather too big now, but they will have to do. I'll have almost nothing in my wardrobe if I go too far, but I do intend to replace them at some point. I was really shocked once I'd gotten rid of all the tops that were really ill fitting, that there wasn't really a lot left. I had t-shirts which will have to live in their place for the moment, as I rebuild my collection. Note to self, you really must try clothes on before you decide to keep them, I had been a bit too keen to fit back into size 8 tops and bought them when they weren't the best fit. So here are the tops I have (that I love). I have several t-shirts as well, which were bought for cleaning the house in, or sleeping in, but that will have to change for a little while! The cream top on the left is still a tad big, but as I'm down to three tops, I figured I should keep it for a while! The other two tops I love, which is a good sign as they are the only ones I have. I am also a little light in the jumper department. Thankfully I kept a couple of nice ones, because they are probably going to be needed asap! I'll be freezing in the UK after being used to Dubai, so I'm not going to get away with not wearing one! I have two jumpers and one cardigan left after my clear out. The two jumpers I love so much. They are Karen Millen (surprise surprise) and so soft. The cardigan is getting pretty old now and will probably need to be replaced eventually. I have been treated to two coats as we are heading back to the UK, as the one that I left at my mums is literally a decade old, and starting to fall apart! I went for short jackets as I find the longer ones a pain when I'm dragging the pram in and out of the car. The cream jacket looks really weird on this post, because I'm standing at a weird angle, but normally it looks lovely! The one on the right is navy blue and slightly padded. 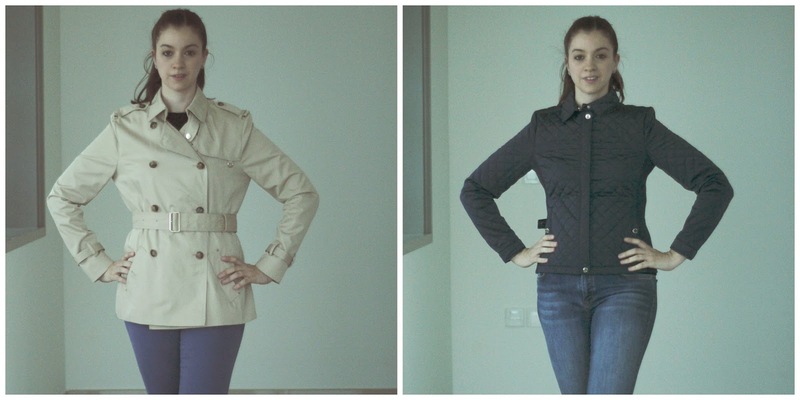 They are both from Massimo Dutti are REALLY comfortable. Finally I've kept a couple of summer dresses, to go with the pale jeans and the shorts. The blue and white striped one is slightly big now, but there is a belt with it (that I've misplaced) which should sort that out. So there you have it. That is literally all that is in my wardrobe at the moment. In my next post I'm going to be exploring what I feel I need to add to my wardrobe and why. I'm excited to go shopping, but not yet, I'm not done planning. Anything that is too small goes straight in the bin. There are things you can do with clothes that are too big (wear a belt, have them taken in) but anything that is too small just is never going to look right. Unless you honestly think you are going to get back into it, don't even consider keeping it. It will look odd in all the wrong places and you'll never feel comfortable in it. Take photographs of you in each outfit. I actually did this after I'd already sorted my wardrobe out, and it gave me a bit of a shock. What I see in the mirror when I buy something clearly doesn't show me what it actually looks like. When I looked at the photographs, clothes that I loved before suddenly just didn't look right. Whether that was a style change or a body change, I have no idea, but it still happened. Look at the photographs you take. Don't be over negative, but compare outfits you do like against outfits you don't, it'll tell you exactly what you don't like, and styles to avoid for future shopping. Don't throw absolutely everything out. Pick a number of outfits you want to keep and work to it. I meant to get to ten outfits, but I ended up with nine "bottoms". Close enough for me, but I could have cut it down further. However, you still need something to wear in the meantime, unless you have an unlimited pot of money to spend at that precise moment in time. Decide what you want to do with the clothes that are too big. If they can be adjusted, then go and adjust them. Otherwise they'll end up in the back of your wardrobe and never worn, so a complete waste. *I apologise for the photographs! I did set my camera settings up, but didn't realise until afterwards that Gary tilts the camera the opposite way to the way that I do, so the focus is actually somewhere around me knees! Totally my fault, and I also misjudged the light, so the photos aren't as crisp as I'd like. I couldn't redo them either as they are all now sitting in the case waiting to travel to the UK, so there's no way I can get them all out and start again. As we prepare to return to the UK, and as Miss S is soon to reach her third birthday, our thoughts have begun to move towards options for Miss S when she starts school. 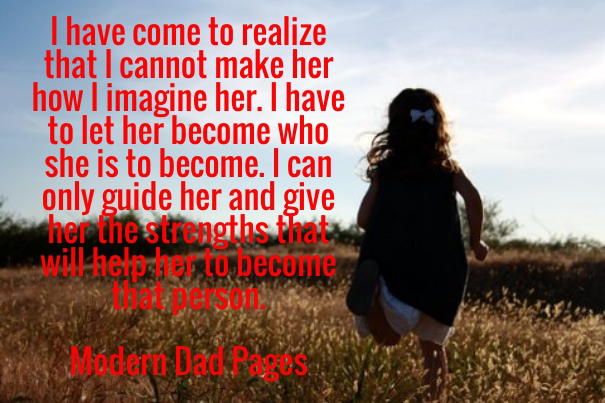 It's become one of the more complicated discussions, because there is a consequence for each choice we might make for her, and for her brother, and any other siblings she may (or may not) eventually have). In Dubai, there is no state school option. There are only private schools. We were fortunate that Gary's employer woulds have paid for our children's school fees, had either of them been of compulsory school age, while we lived here. The difficulty in Dubai had been availability of places at school, particularly those that were within a decent commute, because the school traffic was heavy and not fun for anyone. Miss S should have started school the September after she turned three, rather than the September after she turned four, because the schools incorporated pre-school into the main schooling body, rather than keep it separate, as is usual in the UK. We applied to schools for Miss S, before we knew we were leaving, and came up blank. The two schools we applied for (when Miss S was less than three months old) were so heavily oversubscribed that she did not even receive an assessment. Although I'm still slightly in the dark about assessing a two year old, it seems wrong to me on so many levels, although maybe that's standard in all private schools the world over. However, school choices in the UK are no less complicated. There are just more options and they all have their own strings attached. First of all, the state system. I went to a state school and my grades were well above average. I didn't get the grades I should have done, but that was because of lack of application during the revision period, rather than an failure on my teacher's part. I was fortunate that I ended up in the top set for every subject, so we were generally given the teachers who could get the most out of us, and my peers usually had parents like mine, who wouldn't be pleased to hear that we were messing about during lesson time. I was also in a great school. I have no idea what the grading of the school was, but it was one of the best in the area and it was enough to impress my mum, which takes some doing. So I'm definitely an advocate of state school. I had additional maths tutoring in my GCSE year (the year I turned 16, for those of you not from the UK! ), to work through some areas I was having trouble with, and I found them to be of huge benefit for me. Generally my opinion is that if our children can go to a good state school, particularly for primary school, then they should. 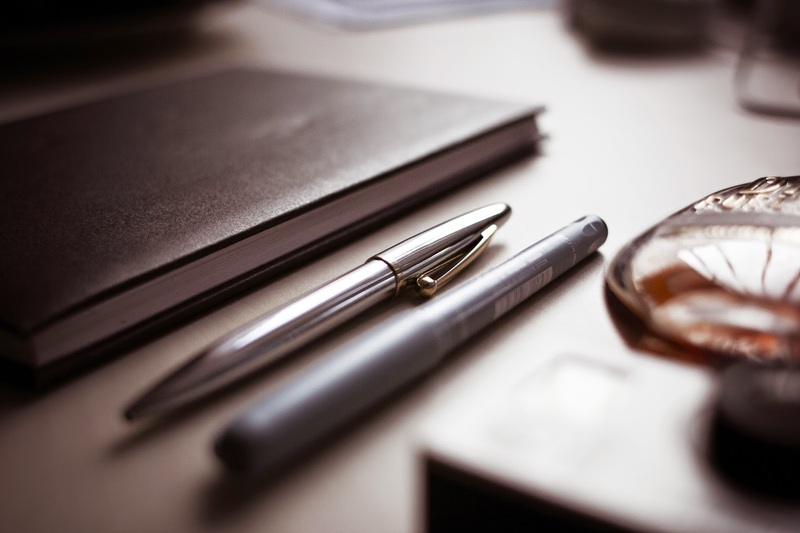 We can always top it up with tutoring if necessary once they are in high school, and I generally feel that is a better option for us financially. It would save us many many thousands of pounds (I shiver when I look at private school prices) and enable us to have more children. But, there are always catches. The schools are assigned by catchment area. So the school we choose will dictate where we can rent or buy a house. Miss S will be allocated a school in January 2016, so we need to make sure that we have already seen the available schools in the area and rented or bought in the right catchment area. However, there is no guarantee that you'll be given a place at that school, if the school catchment area is over subscribed. So it's also necessary to look at neighbouring school catchment areas and the schools that Miss S may be allocated if her catchment area is full. On the other hand, private schools offer small class sizes, and some of the primary schools I have looked at offer such an array of after school activities, it makes my head spin. Miss S would get the opportunity to try after school activities that she may never have the opportunity to try otherwise. Private schools also pay a premium for their teachers, so in theory, they should have a large pool of candidates from which to select their teaching staff. Hopefully this means they are selecting high quality teachers, which can make a huge difference to the education experience that Miss S will get. My good teachers really made the most of what they had, and I really enjoyed my lessons. The not so good teachers made lessons boring and demotivating, and often had less control of the class in general. But, private schools are REALLY expensive. To put both Miss S and Mister L through private primary and secondary school would pretty much rule out us being able to afford another child. We just can't see how we could afford to send a third child to private school and we can't justify forking out for private schooling for our first two kids and not for the third. I'm also concerned about the people skills Miss S will pick up if she's in a private school. Gary went to private school, but his parents ran a nightclub, and Gary was often in there helping out or just spending his time there. So he met all manner of people and his ability to get on with just about anyone, regardless of their background, culture, race, sense of humour, is one of his more impressive traits. I went to a state school, where everyone is allocated on catchment area. We had a relatively large year group of 240 students and we were all pretty different. I feel like it was an important part of my social development and as my parents were both professionals (doctor and lawyer), it was an important part of that development as I was from a middle class background. Gary and I are both professionals by trade (accountant and lawyer) and our children are pretty privileged. They will be living in a relatively middle class home in a middle class town doing middle class things. I worry that sending them to private school removes the opportunity for them to have the same social development that I was exposed to. We have discussed splitting out their education, so state school for primary school, and then the option of a private secondary school, when they turn eleven. This might be a better option all round, although it still places much pressure on us financially and it still leaves in question the ability to have a third child. Thankfully moving to Warwickshire means that we will have access to Grammar Schools as Warwickshire still have their Grammar School system in place. I think this is a great halfway house, that we can aim for our children to take the eleven plus, and see how they do. We would still have the option for private school if we felt it necessary, but we woulds have great Grammar schools open to us. Although I don't know how I feel about our children potentially going to different schools, as not all of them might pass the eleven plus. It's a bit of a dilemma for us, and we honestly have no idea what would be best for them. As Miss S gets closer to school age, we are no closer to really having come to a firm conclusion. So I'd love to hear your thoughts, especially if you have children already at school! Eeeekkkk I'm so excited to announce that I'm now co-hosting the #wineandboobs Linky each week with Modern Dad Pages! The theme of #wineandboobs will be the same each week... Link your favourite blog post up! It can be an old or new post. Last week was #wineandboobs best week yet! There were over 80 link ups to the #wineandboobs linky, and I'm so honoured and excited to be able to be a part of it (and to read all of the lovely posts!). So, down to the details! I am looking for posts from all bloggers! Parent bloggers, beauty bloggers, fashion bloggers, vloggers and bloggers. I would love the diversity that it would bring to #wineandboobs. For you vloggers you can link your videos directly from YouTube and I would really love to see you linked up! If you so wish you can like me to Facebook, pin me on Pinterest or follow me on Google+. This week we are encouraging #socialsharing. I would love it if you would share on your favourite social network one post and tag me in it with "I shared on #wineandboobs @twentyfirstmama" and of course the person you are sharing for. #socialsharing is a great way to support fellow bloggers :) I hope you all love the idea! And like most addicts, it's taken me a long time to admit to. I think it's been rather obvious to everyone who has known me more than five minutes, and it's probably been obvious to those reading this blog, who have never met me. When I read my posts back now, it's startlingly obvious, and I wonder why it's taken me so long to figure it out myself. Even now it's hard to admit to, to really admit to. I can joke about it, and do, all the time. But to actually stand up and say that I think it's more than just a sweet tooth, that I think it's something that is having a negative effect on my life, that is something different altogether. It still sounds ridiculous. It's just sugar. It's just something that makes things taste sweet. It has no nutritional value whatsoever. It's just food. Except it's not just food when you will drive 10 minutes in the car to get the right ice cream. Except it's not just sugar when you will buy chocolate in the shop and stuff it down your throat on the short walk home, so you won't have to admit to eating it. It's not just food when you choose to skip dinner in favour of a box of After Eights (when your husband is away with work, so won't know about it). It's not just sugar when one piece of cake just isn't enough, and even after three pieces you don't feel full and could happily eat more. I have done all of these more than once. Many more times than just once. I crave sugar most of the time. I'm always trying to work out a way to get to that next piece of chocolate of tub of ice cream. But even a full tub of Ben and Jerrys won't satisfy the craving, and I'm immediately thinking of the next excuse, the next celebration, when I can eat lots of sugar. I know it's an addiction because if I stop eating sugar for three days, the cravings stop. At one point, after a Circuit Factory challenge, I actually threw away half a bar of UK made Cadburys Dairy Milk because it tasted too sweet (!!!!!!). I know it's an addiction because when I don't eat sugar, I sleep better, I feel like I have more energy, and my skin improves. I know it's an addiction because I'm on day one of no sugar and my hands are actually trembling. I lost over 4kg on my last Circuit Factory challenge. In the two weeks following, I put on 2kg. By eating cake. By baking and eating more cake than a family of four could eat in a month. I have no off switch. My body doesn't even respond to it. When I am eating clean, I feel full. My body seems to recognise the food and signals for me to stop eating when I am full. When I eat sugar, that just doesn't happen. My body doesn't tell me I am full and I can happily eat an entire cake without batting an eyelid. I'm getting to the point where I am genuinely concerned for my health. Concerned about what I am doing to my body. And more importantly, what I'm not providing for my body, because I'm eating more sugar than actual food. I need to redefine my relationship with food, and with sugar in particular. I need to stop rewarding myself with sugar, and work out another way to treat myself. I need to give it up. That last sentence actually makes me sweat slightly. I need to accept that I cannot control my sugar cravings, and so I need to make them stop. The only way to make them stop, to stop eating sugar. So I'm on day one, by day four I'll no longer crave sugar. I'll be able to get through my day without feeling like I NEED to go to the shop and buy some chocolate or ice cream or cake. But this time I know that sliding back into sugar isn't going to work. I need to quit it, permanently. I feel sick at the idea of not having cake, not having ice-cream again. Ever. Am I being too severe? Possibly, but I suspect I'm not. I have a really bad suspicion that I am never going to be able to gain control of my sugar cravings, while still indulging. 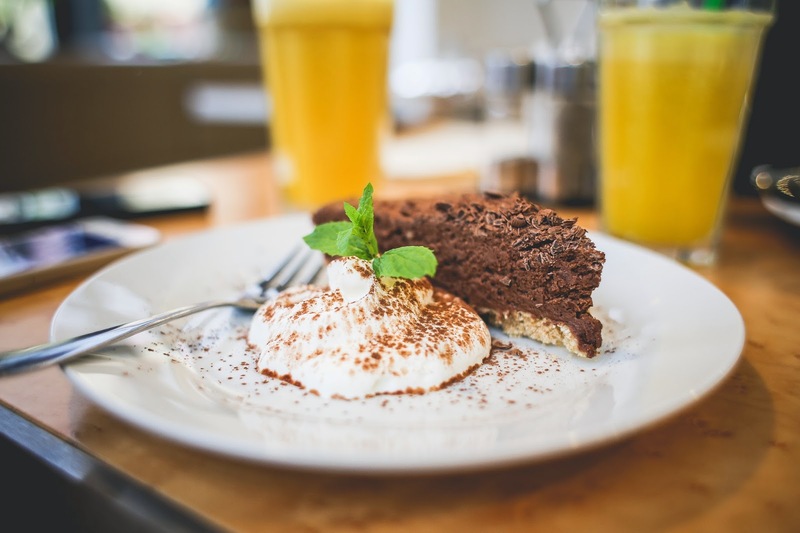 I have a thyroid problem (which leaves me at much higher risk of diabetes), I have suspected PCOS and I have a sugar addiction. I'm likely to be somewhat resistant to insulin because of the above. So ramming chocolate down my throat is going to have a negative effect on my body and my health. So Gary and I have set a target of eight weeks. I want to extend that by at least another eight weeks, with the goal to get to one year without eating sweet treats. At the end of that year, I'm going to take stock of how I feel, and the difference in me from not eating sugar. That should give me a pretty good indication of whether I should abstain from the sugar on a more permanent basis. I'm going to need all the help I can get. So please use whatever force necessary to stop me from eating chocolate or ice cream or cake etc etc etc. I do really mean that! Stop me at all costs!